While Google's unofficial Type-C Czar Benson Leung has not weighed in on the Palette Series, he did give the Select Series five stars. We can only assume these cables are similarly spec-compliant. They come in C-to-C, C-to-A, and C-to-microB varieties. 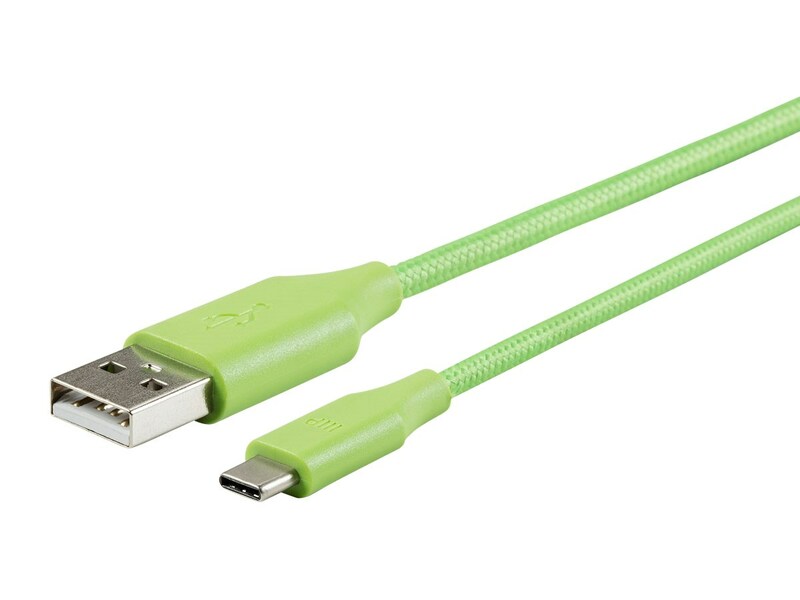 The shortest cables are 6-inches (the $3.99 ones) and the longest are 6-feet ($5.99). They also come in a variety of colors, thus "Palette Series." They all have braided nylon sleeves as well. These are all USB 2.0 cables, but Monoprice intends to expand the Palette Series to include USB 3.0 cables later this month. Those ones will be priced from $4.99 to $9.99. These prices are all a few bucks cheaper than comparable cables on Amazon, plus Monoprice has bulk pricing discounts. RANCHO CUCAMONGA, CA--(Marketwired - April 12, 2016) - Monoprice, an online retailer offering high-quality and affordably priced consumer electronics and accessories, today announced the availability of a new line of USB-C cables -- the Palette Series. Offering the industry's largest assortment of USB-C cables and adapters, Monoprice is further widening the gap between its competitors with this competitively-priced collection that starts as low as $3.99 and includes cables in different sizes, colors and USB connectivity varieties. The Palette Series follows strict USB standards and is backed by the retailer's lifetime warranty and tech support to ensure customers can buy with confidence. "We were the first company to introduce USB-C cables, and now we have the largest inventory available of cables, adapters and portable chargers," said Bernard Luthi, president of Monoprice. "Last year at this time the market was dominated by two USB-C equipped devices, the Chromebook and MacBook, and there were only a select few companies offering USB-C cables at various price points. Fast forward to today, there are around 66 USB-C compatible devices and hundreds of cables. The price ceiling has gone down and to keep our competitive edge, we've developed the Palette Series to be the most diverse, highest quality and lowest cost line on the market." The Palette Series supports syncing and data transfer between USB-C devices, allowing users to easily connect their USB-C equipped Mac, PC or phone to other USB devices. With the reversible Type-C connector, users can connect their cables in any orientation for ease of use. Additionally, the cables are tangle-resistant and feature braided nylon jackets to protect against damage. The cables are now available in 2.0 USB connectivity and 3.0 is available later this month. Monoprice will debut more USB-C cables and accessories within the coming months, including its much anticipated 3.1 USB connectivity Palette Series cables. For a complete listing of Monoprice's new Palette Series USB-C offerings, please visit Monoprice.com.